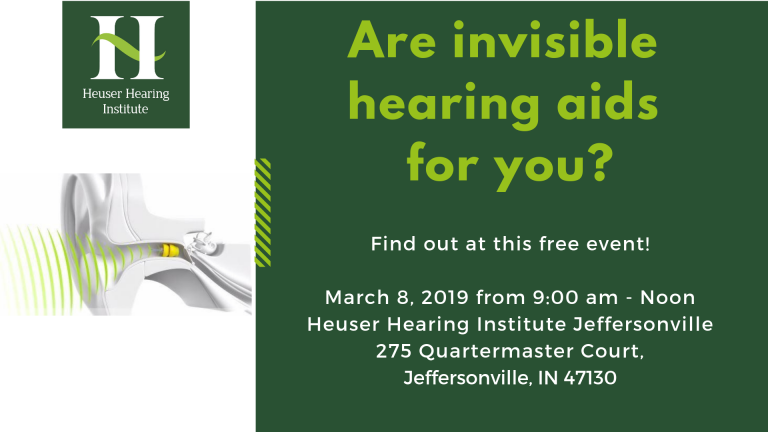 Join us at the Heuser Hearing Institute Jeffersonville, Indiana clinic for this free event to learn more about the Lyric. These hearing aids are completely invisible, require no daily maintenance, and give you natural sound 24 hours a day 7 days a week for months at a time. The Lyric can be worn during daily activities such as showering, exercising, talking on the phone, and sleeping. Call (502) 584-3573 with questions or to RSVP.